Linda A.W. Brakel is Associate Professor (Adjunct) of Psychiatry and Research Associate in Philosophy at the University of Michigan. She is also on the faculty of Michigan Psychoanalytic Institute and practices psychoanalysis in Ann Arbor, Michigan. She has authored and co-authored articles on topics ranging from empirical studies testing psychoanalytic concepts to those on the philosophy of mind and action. 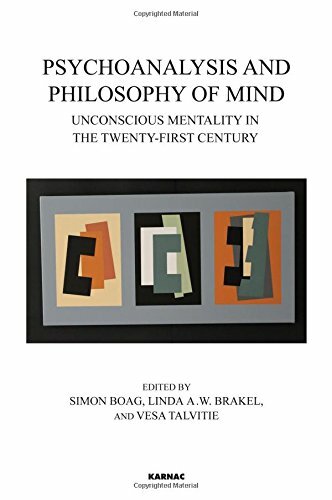 Her most recent works are three interdisciplinary books: Philosophy, Psychoanalysis, and the A-Rational Mind, Unconscious Knowing and Other Essays in Psycho-Philosophical Analysis, and The Ontology of Psychology: Questioning Foundations in the Philosophy of Mind. Vesa Talvitie is a Doctor of Psychology, licensed psychotherapist, organisational consultant (FINOD) and currently works as an occupational psychologist for the City of Helsinki. In addition to numerous articles on psychoanalysis in Finnish and English, he is the author of Freudian Unconscious and Cognitive Neuroscience: From Unconscious Fantasies to Neural Algorithms and The Foundations of Psychoanalytic Theories: Project for a Scientific Enough Psychoanalysis.